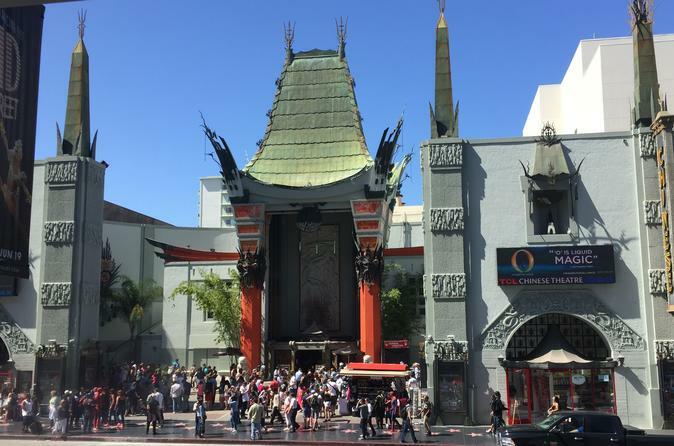 Visit the highlights of Hollywood & Beverly Hills during this private, 4-hour tour. Your driver/guide will provide live commentary to your small group of up to 6 people. Cruise in a Mercedes Benz Sprinter to experience the Hollywood Walk of Fame, Sunset Blvd., Rodeo Dr. and much more. Hotel pick-up and drop-off at select area hotels is included. Your 4-hour tour will begin with complimentary pickup from your hotel in Los Angeles or Hollywood. You can even request pickup from the Los Angeles International Airport (LAX). Your guide will pick you up in a full-sized Mercedes Benz Sprinter. You'll have the chance to visit Hollywood's Walk of Fame to find your favorite star; see Dolby Theater where the Oscars are held yearly; walk on the forecourt of Grauman's Chinese Theatre to see the hands of legendary movie stars; cruise Sunset Blvd; plus you'll even get to see Rodeo Drive in Beverly Hills. During the tour, you will get to stop for lunch at the Farmers Market, hosting tourists since 1934. Lunch (not included) will be about a 1-hour stop. The driver will drop you off at your hotel at the end of the tour.